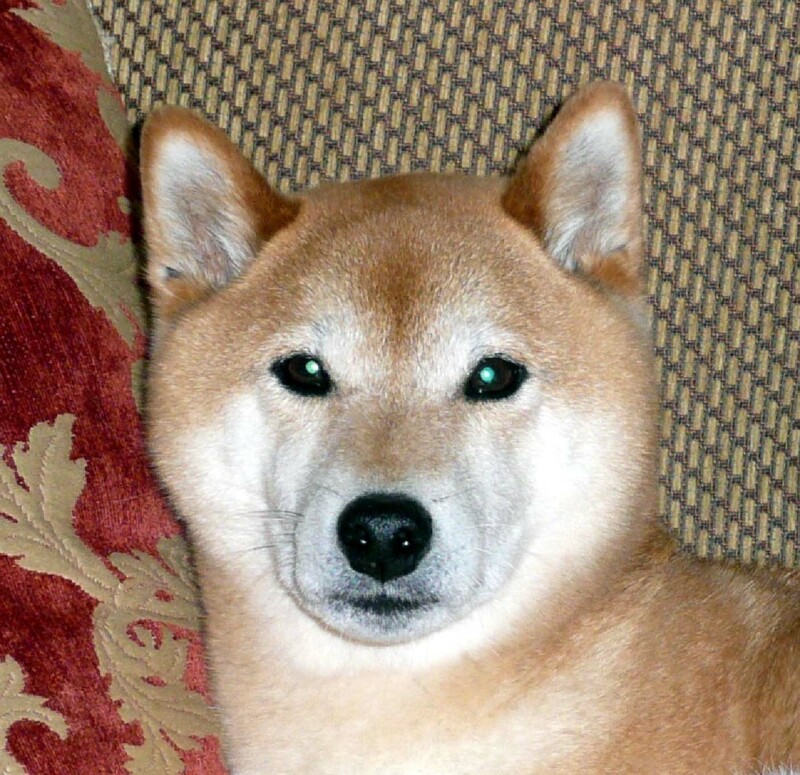 Taiko’s owner called me at 8:07 a.m. with tears in her voice; it looked like today was going to be the last day of her wonderful 14 year old Shiba Inu’s life and she wanted him to have a soothing energy treatment first. She told me Taiko, who has renal failure, had been very slow to wake up. He had lost bladder and bowel control and was barely able to walk. His right rear leg dragged with the toes folding backward. The owner planned to call the mobile veterinarian to help Taiko die peacefully at home. When I arrived Taiko was on blankets confined to a small bathroom. He was lying down, but his head was up and he was alert. When he tried to walk, his right hind leg could not take any pressure. I put my hands on the joints of his right rear leg, but he moved away from me, dragging the leg. His owner carried him outdoors to potty, but he wasn’t interested. He did drink some water and ate some treats. When I assessed Taiko, I was surprised to find the hara line intact, the chakras open, and the spinal energy flowing (though slower toward the tail). Even the right leg was open all the way down, just slower toward the toes. My hand scan did not seem to indicate pain, but Taiko was clearly uncomfortable. He couldn’t stand long. He couldn’t sit down. Getting to a prone position was difficult. His eyes were a little squinted and dull. I used Pan-Away (for pain relief) by inhalation and ran my hands with the oil on them along Taiko’s spine and down his right leg. Because Taiko was uncomfortable and could not stay still, I asked the owner for a large stuffed dog that I could use as a surrogate. I began the Energy Frequency Balance™ on the surrogate, holding each hand position for an extended time. Taiko laid down about six feet away, in sight of the owner but out of my sight. After the technique, I continued with the leg portion of the Chakra Balance for Animals™, beginning with the right rear leg. During the treatment, Taiko got up and went back to his bed in the bathroom. When the owner checked on him, he was in a semi-curled position. She noted to me that this was something he hadn’t been able to do for some time. As I finished with the front legs, I finally felt Taiko’s energy surge through him. With my hands still on the surrogate, Taiko got up and came into the main room walking on all four legs! He stood between the owner and me and shook himself. Even his tail moved a little, which it hadn’t for the past year. We were both amazed! Taiko walked around as if nothing unusual had happened this morning. I gathered my supplies. Taiko escorted me to the door and enjoyed some long body strokes before I left, looking fit and ready for the day. Instead of seeing Taiko for the last time, I had seen a miracle.